Why not begin work on the school of tomorrow today? Virtual reality makes it possible. Technically this has already been feasible for some time. The devices and programs are there and everyone can use them—and VR has far more potential than just immersing oneself in the digital environment and letting it wash over one. In a virtual reality workshop students developed their own spaces. What will encounters in the school look like in future? How virtual or how real? How should virtual learning spaces, where students and teachers feel comfortable, look like? 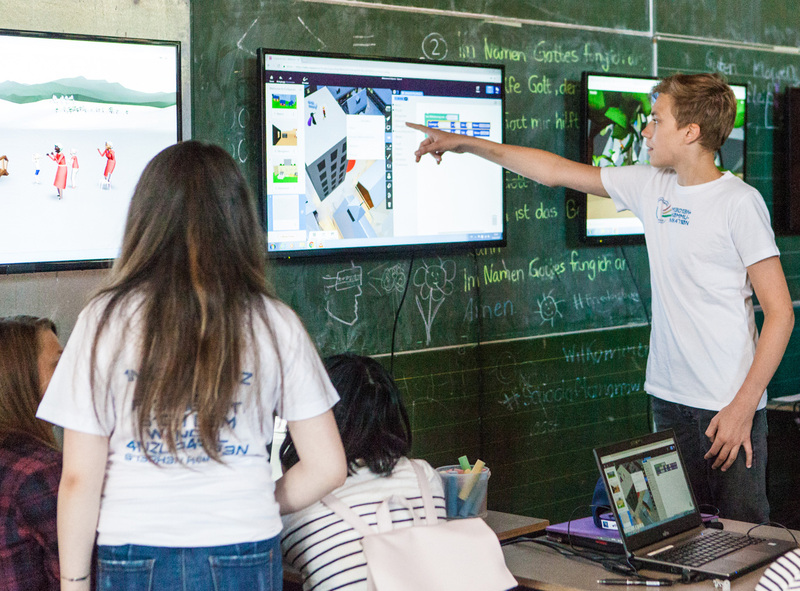 With the aid of 360° cameras and computer programs the students modeled digital learning environments of the future—spaces which meet the need for inquiry, community, and development, where questions can be developed and answers found which benefit society. mediale pfade.org consists of a network of freelance and employed media educators, political scientists, and members of other professions. Founded in 2007, mediale pfade.org– Verein für Medienbildung e. V. (Association for Media Education) supports educational, learning, and research processes within the field of media pedagogy. A praxis-oriented approach is an elementary component of its works and is reflected in its conceptions and activities. Special attention is paid to current media developments and their impact on pedagogic praxis and political and cultural life.